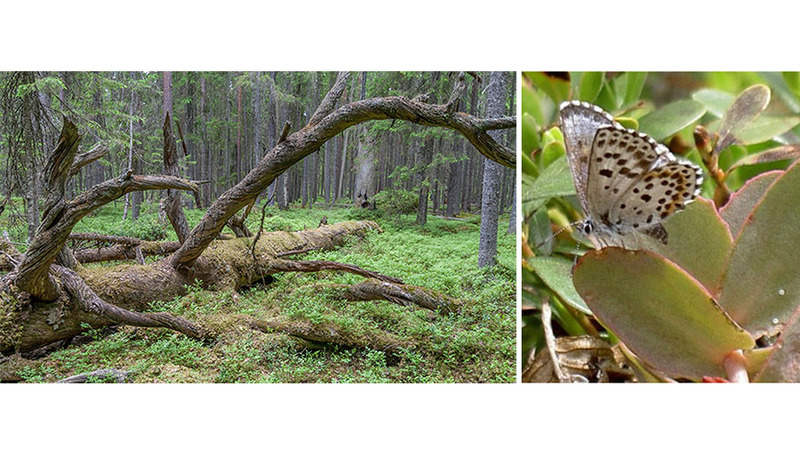 Many insects species require pristine environments, including old-growth forests. Photo by Atte Komonen. Many butterflies have declined globally. Scolitantides orion, for example, is an endangered species in Finland. Photo by Atte Komonen.